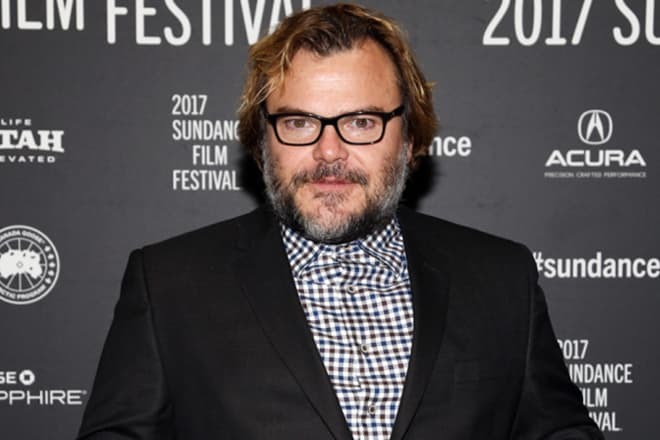 Jack Black is the actor who has become popular due to the movies Goosebumps and The School of Rock. In 2002 together with the TV host of MTV Movie Awards Sarah Michelle Gellar , he made the comedy parody on the movie Spider-Man featuring Tobey Maguire and Kirsten Dunst in the major roles. Thomas Jacob Black was born on the 28th of August, 1969 in the coastal city of Los Angeles, in the city of Redondo Beach. The parents of the future actor were engineers. His mother has Jewish roots, and his father has Scottish background. They accepted Judaism at the insistence of his wife. That’s why Jack was brought up and educated in the best traditions of the Jewish nation. It is known that when the actor has hardly turned ten years his mother and father have divorced. The boy has moved to Culver City together with his father. Despite the distance, Jack visited his mother until he has completed the first year of the studies at the University of California in Los Angeles. Here he has been studying psychology. After that Black together with the father moved to France. Jack was growing on the street, he often fought and got stuck in different unpleasant situations. If he hadn’t got to the School of Dramatic Arts by chance, he would have spent his days in the prison by his own words. Attending the lessons of the acting skills, the couldn't find himself the place for several weeks as he sincerely believed that he had got to the drama studio by mistake. However, after the premiere of the debut play, Black became aware of the fact that he wanted to connect his life with the profession of the actor. It’s noteworthy that Jack hasn't received higher education. The actor has given up sciences for the show business. He thought that he was already familiar with this sphere. 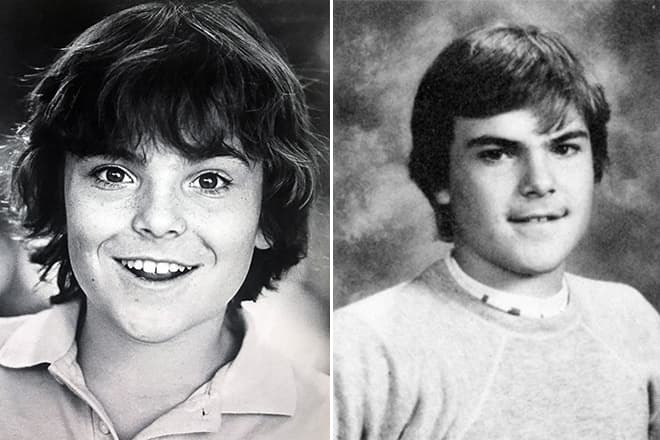 For the first time, the actor appeared on the television during the teenage years. At that time the \young man took part in the commercial for Atari company. The master of the transformations considers his episodic role in the television picture Pitfall! to be his debut role. This film came out on the screens when Black just turned fourteen years. Later, the actor took part in other TV projects: Life Goes On, Touched by an Angel and The X-Files. 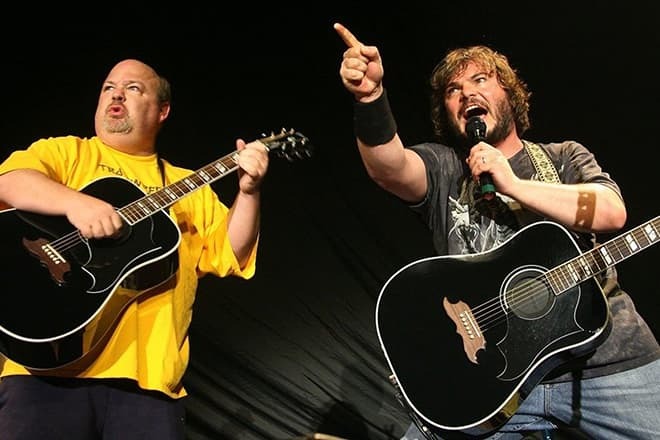 In 1994 Jack together with his friend founded the duet called Tenacious D. Their band is planning to release a new album in 2018. At present, they regularly participate in different TV comedy shows. In the music group, Jack plays the electric and acoustic guitar. This fantastic band has gained popularity at the celebrities. For example, the actor John Cusack is an admirer of Tenacious D group. He has offered Jack to take part in the picture High Fidelity. John himself performed the role in the movie. During the nineties of the last century, Black was shooting in the films. He received both secondary and leading roles. His role in the movie under the title High Fidelity is one of his best works. In this picture, the young man has fully demonstrated his musical talent on the big screen. Later Jack often took part in the TV shows, for example - Primetime Glick, Saturday Night Live, The Osbournes. He was also often seen at the movie premieres. 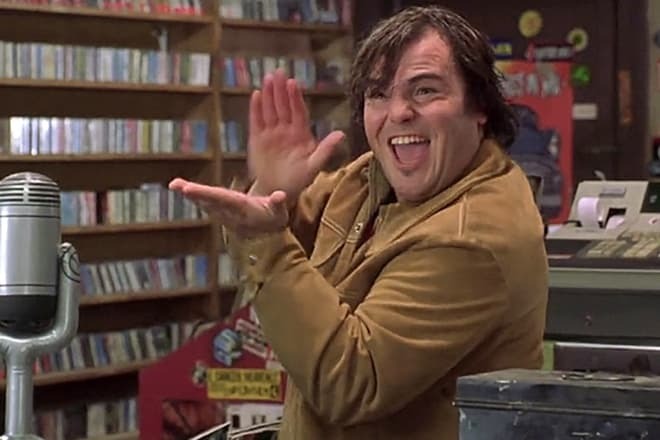 By the way, the directors Bobby Farrelly and Peter Farrelly have appreciated his acting in the movie High Fidelity so much that they unanimously have chosen him for the role in the film Shallow Hal. 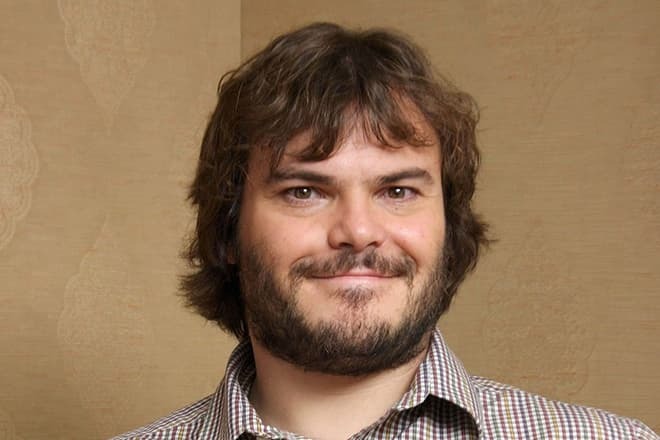 Jack Black has received $3 million for his work in this picture. The actor took part in the most successful movie in 2003. 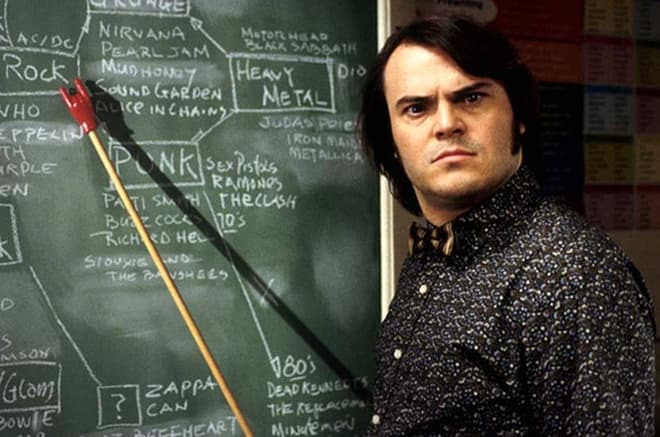 At that time the actor performed the role in the musical comedy The School of Rock directed by Richard Linklater. On the screen, the man appeared as the character of rock guitar player who teaches music to earn money. This picture was a kind of benefit performance for Black. The critics were impressed by the actor's work, and he was nominated for the Golden Globe Awards. It's worth noting that during his career the actor has played many versatile roles and enriched his filmography with many remarkable characters. In such a way, the actor has played a role in The Cable Guy together with Jim Carrey an in Tropic Thunder and Shallow Hal with Gwyneth Paltrow. Whether it is a comedy or drama, the actor can completely embody the character due to his unusual appearance and great mimicry. In 2011 Bernie came out on the screen in which he received the leading role of Bernie Tiede. The plot of the film tells the story about the favorite of the residents of Carthage, the mortician Bernie Tiede. The compassionate man always helped those who lost their relatives. Once he and a rich and capricious widow Marjorie Nugent (Shirley MacLaine) have become friends. Bernie was traveling with Marge, and in a short time, he began to manage her finances. Though, the woman started to have more and more inquiries and requirements. She was jealous of her elect to his friends and even forbade him to keep in touch with his relatives. One day Bernie couldn’t bear it anymore and shot the old woman. During nine months the mortician was concealing her death. When the assassination became obvious the trial started, and all the citizens stood in defense of their favorite. 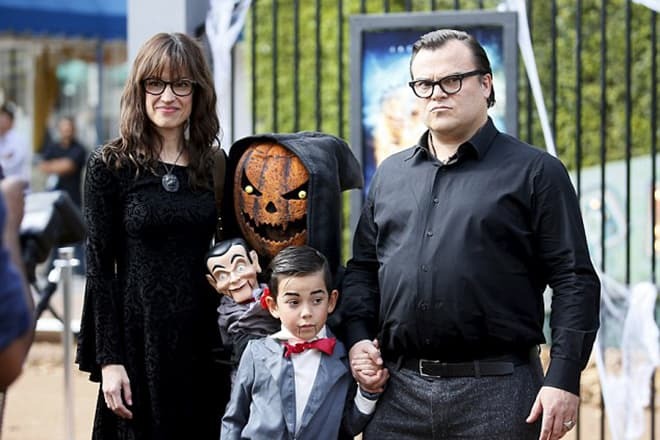 The year 2015 was marked by the release of the comedy Goosebumps. Except for Black, Dylan Minnette, Amy Ryan and Odeya Rush took part in this picture. The plot of this movie is based on the same-name book series written by Robert Stein. This movie tells a story about the fantastic monsters, who have been kept on the pages of the popular best-series Goosebumps by some magic and once have broken free to the real world. The same year to the political comedy TV series The Brink came out on the screen. Tim Robbins, Jack Black, and Pablo Schreiber took part in this picture. In the center of the plot is the geopolitical crisis which cardinally changes the lives of three different and desperate men. Three of them have to stop the chaos around and to prevent the Third World War. At the end of 2000, there was released an extremely successful animated series franchise Kung Fu Panda. In this picture, Jack has voiced-over the leading character – the clumsy panda Po who masters the martial arts and becomes the danger to the criminal world and fights back the scoundrels. In 2016 the audience saw the third part of this franchise. Few people know that the star of Our Russia - Mikhail Galustyan has voiced over the charming panda in the Russian-language version of the picture. The actor's personal life has interested both the audience and the press. It's known for sure that from 1997 to 2005 Black has had relations with the comic actress Laura Kightlinger with whom the man has met during the shootings of the series Will & Grace. Later Jack has begun a torrid love affair with the cellist Tanya Haden. 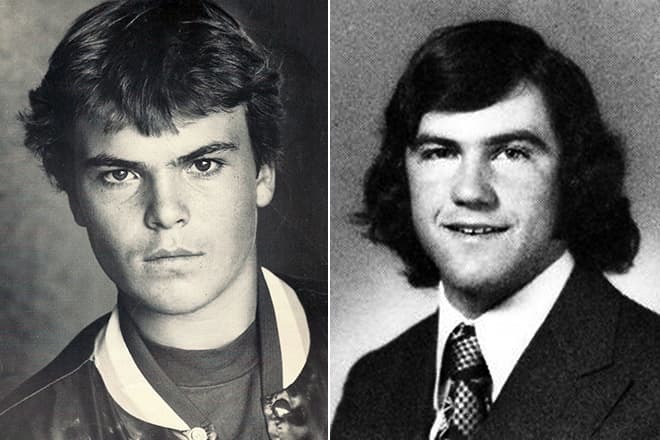 Long time ago they were studying together at the school in Santa Monica. However, they haven't seen each other till spring of 2005. Their love affair was developing so quickly that already in 2006 the lovers got married. Three months later Tanya gave birth to their son. Happy parents have given their son the following name - Samuel Jason Haden Black. In May of 2008, Jack's wife gave birth to their second son - Thomas David. In June of 2016, there appeared the information on the social networks (and later in mass media) which has excited Black's fans. It was the message about the actor’s death. However, later it became obvious that it wasn't the truth. The actor’s and musician’s account was hacked. The premiere of the movie Jumanji: Welcome to the Jungle featuring Jack in the role of professor Shelly Oberon is set for December 2017. In the center of the plot, four teenagers were punished and were left to clean the school cellar during the whole day. While cleaning this place the guys have the old X-box. 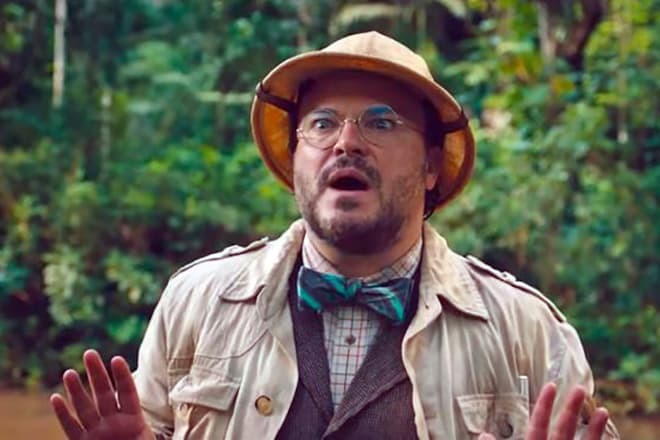 Without thinking twice, they have started the Jumanji game and have found themselves in the fictional world in an instant. They have moved to the jungles full of fantastic beasts and traps. The friends have to pass all the trials and to survive. 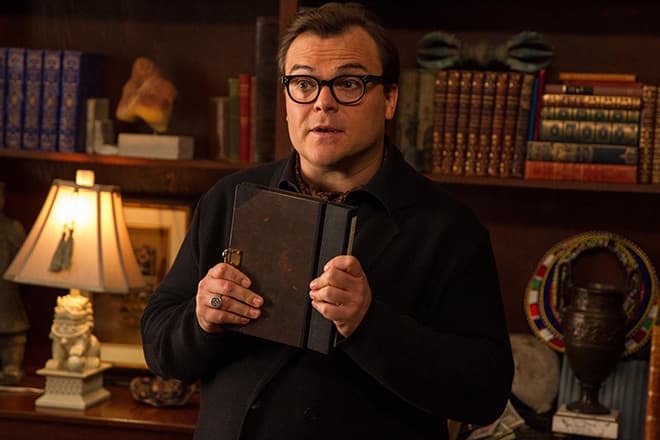 Also in 2018, the admirers will see their favorite actor in the picture The House with a Clock in Its Walls, Goosebumps 2: Haunted Halloween and Bailout. The shootings of these movies have already started. Despite the busy working schedule, the actor whose height is 168 cm and weight is 65 kilos doesn't forget about his fans. On Instagram Jack regularly posts the pictures from the shootings and also videos from vacations. It’s worth noting that the social networks are not the only source which tells the fans about the latest news in Black’s life. On the web portals and in printed editions the journalists often publish the materials connected with the Hollywood star’s creative biography.